346 Summer Camps in for "Pasadena, CA"
Home to the famous Rose Parade each New Year, Pasadena embodies history and fun. Choose your summer activity at Steve and Kate’s Camp. Play and learn at Kidspace Children’s Museum, Brookside Park, and The Huntington Library. 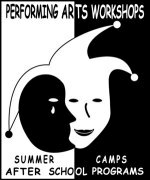 Browse through our online directory of summer camps in Pasadena to find the best camp for your child. Let your kids enjoy a limitless summer at Steve and Kate’s Camp. How they decide to spend their summer is completely up to them! Kids can choose their talent in the studio, enjoy pure play, anywhere, inside or outside, choose a sport in one of their custom built stadiums or even make a film. Learn more about their fascinating programs by going here. Explore the nature of science with your little ones at Kidspace Children’s Museum. In the Physics Forest, kids interact directly with 13 hands-on exhibits that get children excited about science. Take a closer look at a bug’s life in the Digging Deeper Gallery and try out farming at the Harvest Corner vegetable garden. With spring and summer camps, this spot offers endless opportunities. Relax in the shade as your children pretend to sail the high seas at the pirate-themed Brookside Park. The ship-shaped playground, water play area, and abundant shade make this a fantastic summertime oasis. Reviewers love the free parking and often picnic at this hidden gem. Stroll through the exotic gardens and galleries at The Huntington Library. This center of education offers a garden specifically for kids where they can dance through the rainbow room and make a splash in the sonic pool. Children can even compose natural music with the garden’s pebble chimes. Don’t miss this unique glimpse into the cultural gardens and art of the world.